NEW ! Leave a request on our message board or make your own Tocantins topic. This site gives an opportunity to companies and organizations in Palmas represent themselves here at no cost. If you are interested, e-mail us. Enter this bar to grasp Brazilian food and drinks. A culinary tour with 1001 links. The country is ideal for agriculture: a very stable climate, availability of large rivers that supply water for irrigation and large flat areas of fertile land. Power self-sufficiency: the new Lajeado plant will provide 7 times the present consumption of the state. 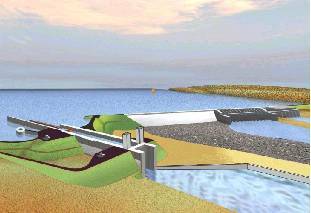 A multiple transport system consisting of: navigable waterways, roads, the north-south railroad and the international airport. 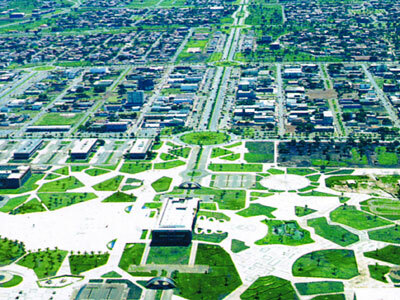 Like the State, its capital Palmas also shows impressive growth rates, according to the IBGE - the Brazilian Institute of Geography and Statistics. This growth has come about while maintaining the quality of life of the inhabitants. 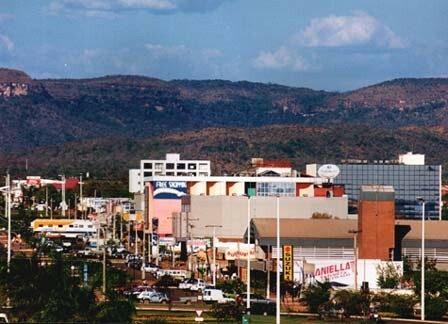 Palmas boasts a modern architectonic model of urban planning and, besides wide avenues and ring-road parks which allow ease of traffic flow, it has a privileged location between the Tocantins River and the Lajeado mountain range. 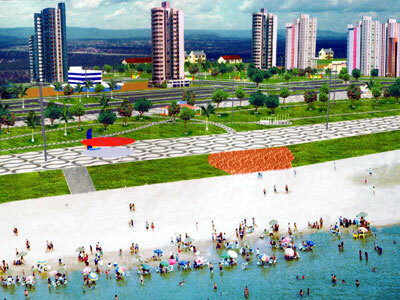 As a finishing touch, the Great Lake to be created around the city by the construction of the Luis Eduardo Magalhaes plant will give rise to the largest artificial beach in the world. There will be 15km (9 miles) of beach fringed by a full facility shoreline 1 km (half a mile) wide. Hotels and residential areas will be built bordering a 50-yard stretch of sand divided into 6 beaches with artificial headlands and theme-park islands. Harbors, marinas, moorings, artificial coral reefs and a huge bridge are part of the project by Sao Paulo architect Rui Ohtake. In league with the exuberance of nature, the outgoing nature of the inhabitants of Palmas only heightens the welcome given to visitors from all over the world who have come to see for themselves what is so enchanting about Tocantins. Tocantins has the ideal soil for planting investments in agricultural produce. It has over 200,000 square Km (124,000 square miles) of cheap, arable land, for the most part flat and suitable for machinery, irrigable and Iying within a stable tropical climate. In partnership with the State Government, businessmen from all over the world are setting up industrial agricultural projects of varying sizes. At this moment, eight agricultural industries and processing plants are being installed at strategically located points in the State. They include soybean milling, fish processing and the processing of tomatoes, corn (maize) and such fruits as mangoes, pineapples, cashew, guava and passion-fruit. Tocantins' vocation for agricultural investment is also evident in such projects as the RIO FORMOSO, a domestic and worldwide standard for high yields which already has 12,000 hectares (30,000 acres) under yearly rice cultivation. Or such as the Prodecer III (the Development Program for the "Cerrado"), carried out in partnership with the Japanese Government. This is 40,000 hectares (99,000 acres) of land divided into two equal parts. The first part is for rice, soybean, corn (maize) and fruit production, especially cashew, and the second is for environmental conservation. This project is located in the rural area of the town of Pedro Afonso and rigidly adheres to the norms of sustainable development. Even with these two great agricultural projects in full swing and ready to absorb further investment, Tocantins still has a vast amount of land suitable for projects like Prodecer. Such is the example of the township of Campos Lindos, where the State Government has disappropiated land and given it to the producers and is, moreover, encouraging the setting-up of agricultural co-operatives. As you can see, land is no problem in Tocantins. 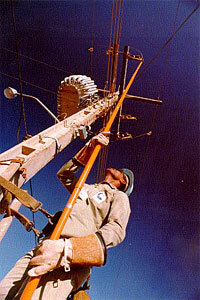 AII that was needed was electrical power, vital to the transformation of the State into a new agricultural frontier. You will now see how Tocantins faced this challenge. 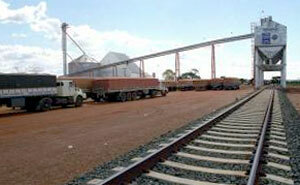 In May 2007 a biodiesel plant has started in Porto Nacional, at 50km from Palmas. Production will be based on mamona fruit. In Paraiso do Tocantins the Biotins Energia plant is under construction. The plant will use pinhão-manso to produce biodiesel. Other plant will arise in Araguaina and Alvorado. The UFT university of Palmas is studying the production of ethanol from sweet potatoes, as an alternative to sugar cane. In spite of fertile plains, power is also a fundamental requirement for the success of any agricultural undertaking . For this reason, the State of Tocantins has made its self-sufficiency in power a priority. The North-south transmission line, set up by the Federal Government, crosses the State from one end to the other and links up with the whole electrical energy generation system of the country. The Luis Eduardo Magalhaes Hydroelectric Plant, which is in the townships of Lajeado and Miracema, will be able to generate up to 1020 MW, an output 7 times greater than the present consumption ofthe State. 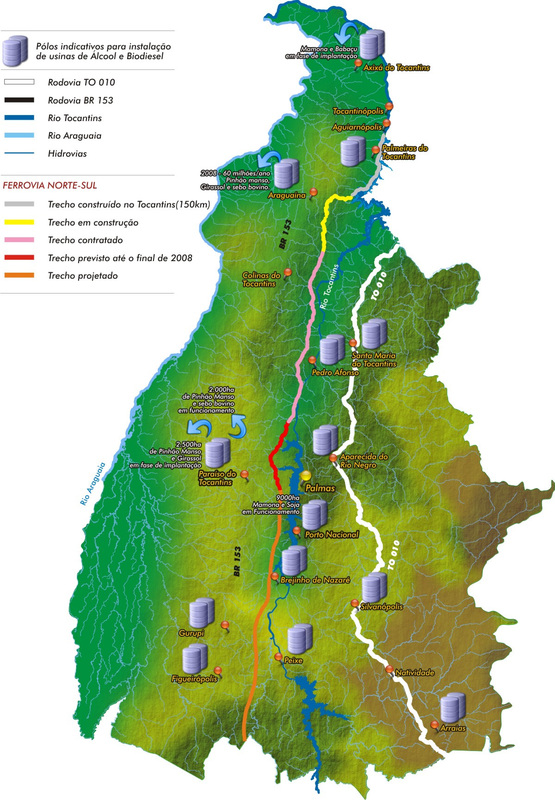 Five other large-scale plants will be built at strategic points in Tocantins to generate not only sufficient power for the development of the State, but also enough for exportation to neighboring states, while also providing multiple uses for the water, such as fish farming, irrigation and leisure activities.The country dweller will also benefit by greater and better production. The State Government has just launched the PERTINS - the Tocantins State Government Rural Electrification Program, which is installing 30,000 Km (18,600 miles) of transmission lines to take power to 15,000 rural properties. The goal is to encourage new agricultural industries and strenghen cattle raising and agriculture in Tocantins. Land and power guaranteed. One issue remains. How to transport agricultural produce? You will now see how Tocantins is dealing with this question. 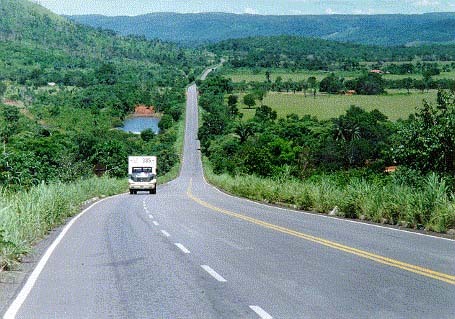 Considering its strategic location and its condition as a state for national integration, Tocantins offers a multiple transport system composed of the Araguaia-Tocantins Waterway, navigable all year round, the over 4,000km (2,500 miles) of paved roads that cross the State and link up with several regions in the country and the North-South Railroad. 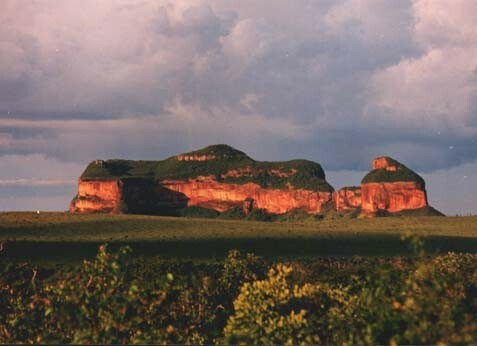 In this manner, all the agricultural produce of Tocantins, as well as that of the central-north, can be transported at highly competitive prices and so, take part in the consumer markets of Brazil and several other countries in the world via Porto de Itaqui in São Luis, in the State of Maranhão. Porto de Itaqui, Porto one of the deepest and most modern harbors in Latin America, has been in operation for over 10 years. The North-South Railroad will connect the whole national railroad system through the State of Tocantins and link up with Porto de Vila do Conde in Belém, in the State of Pará and Porto de Itaqui, in sao Luis de Maranhao and Senador Canedo in the State of Goiás. The North-South Railroad, nearing completion, will be able to absorb 30% of the inter-regional transport market between the North and North­East of Brazil, which today is equivalent to 15 million tons a year and will offer great opportunities for investment, since its area of influence covers nearly 1.8 million square Km (1million square miles) suitable for agriculture, forestry and forest produce and cattle raising, not to mention the largest mineral deposits in the country. 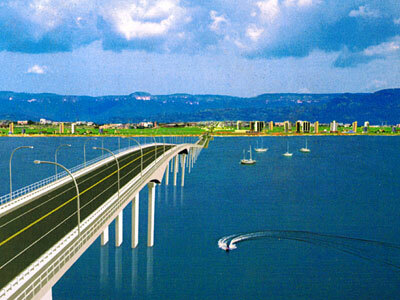 This project involves the construction of a central agricultural market consisting of separate areas for large-scale and small wholesalers, a zone of environmental protection, a warehouse, a processing plant, a port, marinas, moorings, artificial coral reefs and a wharf for loading and unloading, an air terminal linked to the airport, support services and a terminal for railroad transport. This will mean the transformation of Palmas into a great commercial center. 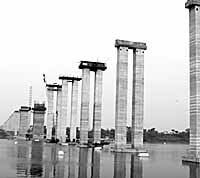 The Lajeado locks are important to allow modern waterway traffic along the Tocantins, which will become navigable down to the sea (near Belem) once the now-building Tucurui locks are finished. This will make the Tocantins and Araguaia rivers a significant route for export of soy and other grains from Central Brazil. An ideal place for investment in agriculture, cattle raising, industry and commerce, Tocantins is the perfect scenario for the fastest growing economic activity in the world: tourism. And ecological tourism, in which conservation and respect for nature are the key features, has become the main attraction, with surprising economic results. With this in mind, welcome to Tocantins, the State with so many outstanding beauty spots that it is sure to become an ecotouristic center of international renown ! There are river beaches with fine sand, warm waters, lakes brimming with fish, forests, open plains, mountains, waterfalls, historic towns and the largest riverine island in the world, the Island of Bananal. In order to boost tourism, the State Government has set up the Araguaia Ecotourism Complex which embraces 23 townships in its first center. The Cantao center is underway. Jalapao is one of the most amazing and exotic regions in the country and has already become one of the outstanding national features of adventure tourism. The State Government has played its part by building paved roads and providing power to all townships and points of interest and by offering incentives for the most diverse activities. Even though attractive, the tourist services network is still in its infancy, due to the fact that the State was only created recently. A varied landscape, an ever-increasing flow of visitors, the lack of services and State Government incentives are high-yield guarantees for investment in Tocantins in hotel facilities, services and transport. The new airport, Brigadeiro Lysias Rodrigues, is located 25km to the south of Palácio Araguaia, near an area called Jardim Aureny III and near the lake formed by the Usina Hidrelétrica Luís Eduardo Magalhães. The Ponte Fernando Henrique Cardoso connects Palmas to Paraíso and the north-south highway BR153. For 13 years the river could only be crossed by ferryboats and the bridge at Porto Nacional. This soccer stadion Estadio Nilton Santos is part of a complex called Vila Olimpica do Tocantins. Initially this stadion will have a capacity of 8.000 spectators.